(VEN) - Last year the PetroVietnam Oil Corporation (PV Oil) secured the sale of its 300 millionth tonne of crude oil; its first consignment was sold in 1987. The event marked an important milestone for Vietnam’s oil and gas sector. In 2013 the company successfully exported 14.8 million tonnes of crude oil and condensate bringing in revenues of nearly US$13 billion. (VEN) - Electronics is one of the fastest growing industries. 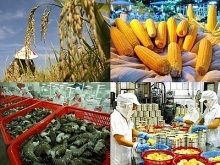 However, behind the halo of good export results and flashy electronic products, some problems must be resolved to achieve sustainable growth of the industry and harmonize efforts to gain economic benefits with those to protect the environment and health of the workforce. (VEN) - After darkness falls the mountainous region of Chu Prong District in Gia Lai Province used to be lit up by a starry night sky, but now sparkling electric lights and the sound of constant activity break the calm night. Tall houses line the streets and few could guess that this now gaudy border town was devastated less than 30 years ago by war. The first flight linking central Nghe An province’s Vinh City and the Lao capital city of Vientiane landed at Wattay International Airport on January 12. Nearly VND150 billion was raised by various organisations and individuals at the seventh “Spring for Children” program held in Hanoi on January 11. (VEN) - The National Occupational Health and Safety (OHS) Week and Fire Prevention Steering Committee has selected Thua Thien-Hue Province to host the 16th event from March 16-22, 2014, themed Think and Act for the Target of No Labor Accidents, Occupational Diseases, Fires and Explosions in the Workplace. 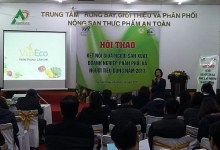 (VEN) - The implementation of corporate social responsibility (CSR) is becoming an important requirement for increased global competitiveness and sustainable development of Vietnamese enterprises in the integration process. (VEN) - According to the 2013 industry promotion plan, the sources of funding to support vocational training, pass and improve professional skills for more than 45,000 rural workers totaled VND61.690 billion. The vocational training projects are connected with labor employment demand of rural industrial units and the rate of laborers finding jobs after training has hit more than 94 percent. (VEN) - The new model of dialogue between employees and employers in factories, especially in garment factories have helped improve working conditions and the competitiveness of enterprises. (VEN) - All provincial enterprises have created clinics or employed occupational health and safety (OHS) workers to perform first aid and primary health care for employees at production facilities.